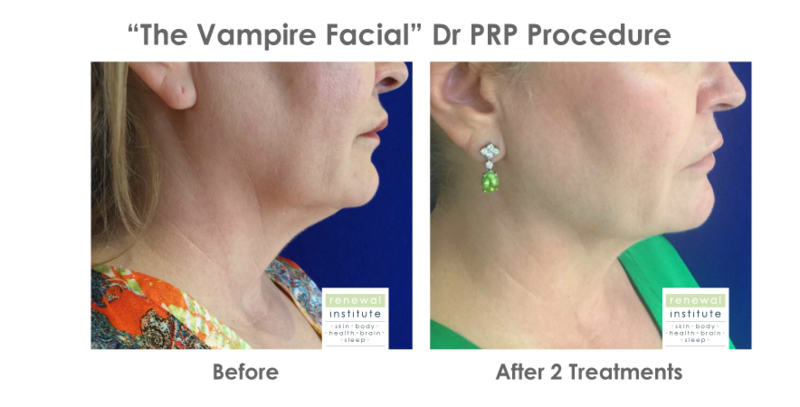 The "Vampire Facial" is a procedure that involves withdrawing a patient's blood, processing it to isolate the platelet-rich plasma (PRP), then re-injecting it to erase wrinkles and create a more youthful look. PRP or Platelet Rich Plasma, is nothing but autologous blood with concentrations of platelets above baseline levels, that contain at least seven growth factors. Although blood is mainly a liquid (called plasma), it also contains small solid components (red cells, white cells, and platelets). The platelets are best known for their importance in clotting blood. However, platelets also contain hundreds of proteins called growth factors which are very important in the healing of injuries. Why would one benefit from the PRP treatment? Normal blood contains only 6% platelets however, in PRP, there is a concentration of 94% platelets, which translates to a powerful growth factor “cocktail” with a variety of growth factors and cytokines. This stimulates cellular tissue regeneration to dramatically accelerate healing. For this reason this treatment is very successful in treating the signs of ageing, as well as assisting in hair regeneration and even muscle and joint regeneration. Is PRP Vampire Facial available at all branches? 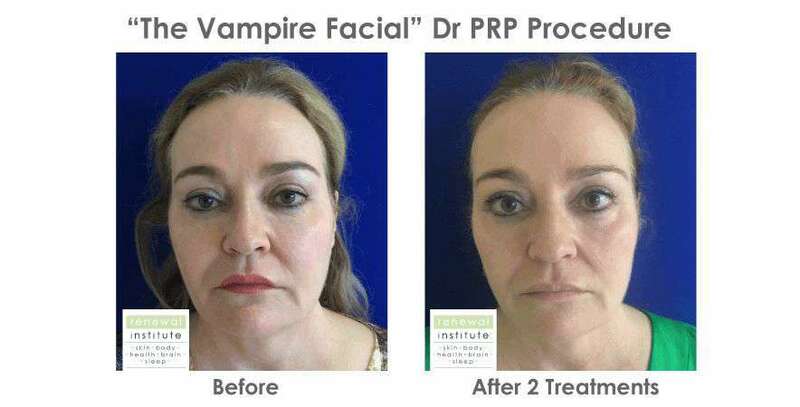 the Vampire Facial "PRP" is available in Johannesburg at Fourways, Parkhurst, Morningside, Bedfordview, West Rand and Illovo as well as in Pretoria at Brooklyn and Irene and in the Western Cape at Cape Quarter, Claremont, Constantia, Stellenbosch, Willowbridge, Paarl and KwaZulu-Natal at Durban & Umhlanga. Most practitioners performing PRP treatments use a system whereby the patients’ blood is only put through one centrifugation process. Skin Renewal utilises the DrPRP system with specialised, specifically designed collection kits, with a unique protocol where the patient’s blood is put through two centrifugation processes. The outcome being, super-concentrated PRP, yielding a superior result. The DrPRP’s patented design ensures that we get a large amount of growth factors from the patients’ blood plasma samples. Not only this, but we also offer a more complete treatment, giving our patients the option of treating the face, neck, décolleté and hands, all in one session. We also have various methods of application in order to specifically tailor the treatments to each patient’s needs. We are able to combine both injection mesotherapy techniques with micro-needling to ensure that we deliver this super-concentrated PRP exactly to the areas it’s needed using techniques that will give our patients the very best results as quickly as possible. Since the platelets come from the patient’s own blood, there is absolutely no possibility of allergic reaction or other side effects. The only precaution you need to take is to stop any anti-inflammatory or blood thinning medications while administering PRP. 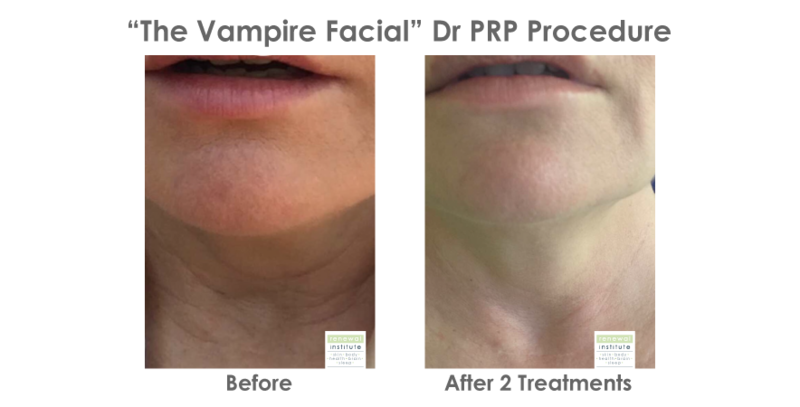 This process of using a patient’s own blood to extract the PRP has earned the procedure the well-known nickname, “The Vampire Facial”. Super Concentrated PRP (known as the Buffy Coat), also known as “the Liquid Gold”, is usually injected into the areas of greatest concern and yield the best results. For Skin Rejuvenation: Once injected into your skin, the platelets will accelerate the normal healing process and produce new collagen at the injected area. For this reason, we use all 3 parts of the extracted plasma PPP for mild and general rejuvenation (we can use this on your hands, neck and chest), while the PRP and Liquid Gold will be used specifically on the face and areas of most concern. For Hair Restoration: The PRP is injected through the region that is thinning/balding which supplies the nutrients it requires to continue growing a thicker, fuller and healthier hair strand. Although there are no large scale clinical studies on this, preliminary evidence exposes PRP therapy as a good fit for hair restoration. Depending on the severity of the area of concern, anything from 2 – 8 treatments are advised for optimum results. These treatments should be done every 3 – 6 weeks. The first is that the full amount of PRP extracted can be injected by the Doctor using the Mesotherapy technique. The second is that the full amount of PRP can be introduced into the skin via needling (Dermapen), and this can be done by a Doctor or a Therapist. A third option is a combination option. The DR can take the most concentrated part of the PRP and inject this into the area of most concern and the remainder of the PRP can then be needled into the skin. The doctor would need to assess the patient’s concern during the consultation to discuss the best option for the patient. What results can be expected from the ‘Vampire Facial’? Now patients can reduce wrinkles and fine lines without going through risky surgical procedures. Since PRP uses the patient’s own blood to produce the platelets, they are far safer than other surgical and non-surgical procedures out there. The PRP procedure helps restore and enhance skin regions that require volume and improves its texture and tone considerably. The treatment will leave the patient looking more youthful and rejuvenated. What Procedures are commonly performed with PRP? Wrinkle Improvement: fine wrinkles, eye wrinkles, wrinkles around mouth and forehead wrinkles. Skin Colour and Circulation: dark circles under the eyes, areas of poor colour and dull complexion. Hair Restoration: because the platelets contain vital growth hormones, PRP injections are naturally a good fit for stimulating lost hair follicles. Other Applications: treatment of burn wounds, joint therapy, sports injuries (Muscle repair) etc. Due to the PRP coming from the patient’s own blood, there is no risk of allergy or reaction. The procedure can be mildly uncomfortable however the patient is well numbed before starting the treatment, so most find it quite comfortable. The greatest risk is mild bruising, redness, sensitivity, swelling and mild peeling while the patient heals. Review -"Vampire Facial with Minki"
I loved the Vampire Facial. I was a little nervous at first, but it really was not painful and the result is amazing. I am now two days post-procedure and my skin is glowing! Dr PRP Facial at the Fourways branch last year October. Whenever the Skin Renewal training team and I decide to introduce any new treatments at Skin Renewal, I am always the first to try the new treatment out to ensure we can deliver results for our patients. I was interested to see if this Vampire Facial could make a difference to the overall texture of my skin. A few weeks after the initial treatment I started receiving numerous compliments about my skin and thus the decision to introduce the DrPRP treatment in the new year was a no brainer.